Who doesn’t appreciate the gift of a clean car? We’ve made giving (or getting) one easier than ever! Buy your gift card with just a few clicks, and Rich’s will mail it directly to where you need it. Send one to yourself or a friend for a special surprise! 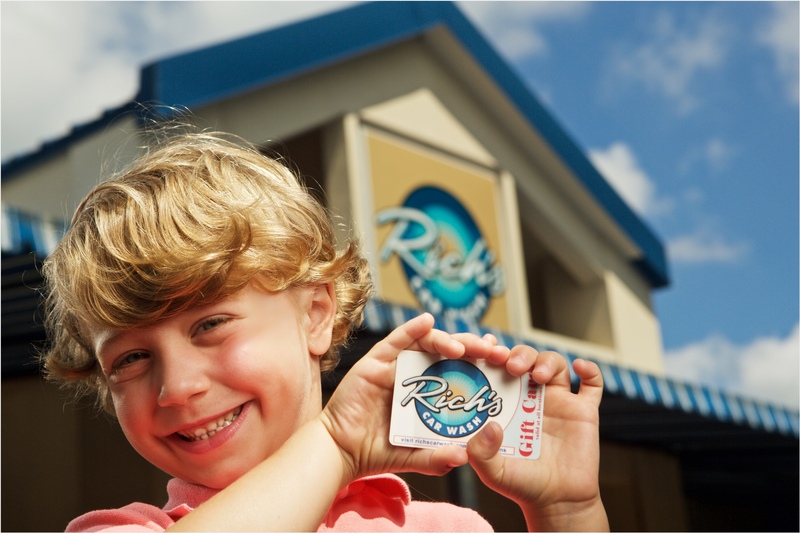 Rich’s gift cards start at $25, never expire, and can be used at multiple* locations. They can also be reloaded at the pay station when the funds run low. Talk about the gift that keeps on giving! *Gift cards purchased online cannot be used at our Ft. Walton or New Iberia location. Please visit the site for a Ft. Walton or New Iberia gift card purchase.